Specially designed for Fitbit Charge 2. Those replacement bands can definitely help you when you are tired of your dull original band. Flexible adjustment. Those bands can be adjusted according to your wrist circumstance. Always a hole for you no matter your wrist is Small or small. Small size, fits 6.7"-8.1" wrist; Small size, fits 5.5"-6.7" wrist. Easily insert your Charge 2 tracker into the wristband, no tools needed. NOTE: Tracker is not included! 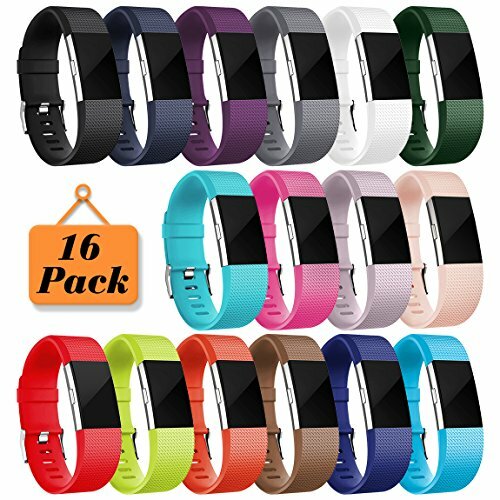 For Fitbit Charge 2 Band only!